For . Go look at her two tutorials, they are the best. We did a tutorial exchange. Googled pictures © respected owners. Other art and sketches © Me, C.J. Marrero. I would love to see before and after pictures. I really am so glad that this tutorial continues to help people. Thank you! 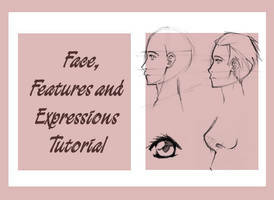 Long anatomy tutorials are my favorite - there's so much information! It's so helpful, even if also a little exhausting :b.
I love the comparison to anime anatomy - I've never seen anyone do that in a tutorial, before! It's really helpful for us poor fools who like our Sailor Moon legs and enormous eyes D: xDD. Thank you so much for doing this, it was very helpful, and very interesting, as well ;///;! Thank you I'm glad it helped. this has really helped me!!! And in return, your comment just made my life better. Thank you! I always screw up when it comes to the torso area. This is a realllyyy helpful tutorial~! You my dear, are a great commenter and I love you for it. great work, that is really helpful. I hate drawing antomy. It's so difficult. Um.. try starting off your bodies with a line. Like a noodle. Think of it as a spine, position it how you think your characters back will look, then draw the body shapes from there. Look at the blank piece of paper the way you would look through a lens, then imagine the body and let it come alive for you. Try not to be fussy and focus on one thing, let it come to you. It probably wont come the first time, but keep trying. n_n Thank you! Yah, I've been buying a lot of books and looking up guides on DA, like yours! oh you! haha thanks again. You're comment just made my day. xD jussstkidding, but this would be my first love confession received.. I just wanted to leave a comment to let you know that I am using this tutorial at this very moment to help me with a difficult sketch! It is amazingly helpful! Thank you so much for putting it up! You're very welcome! I am sorry for such late response but I would love to see the picture that you drew using my tutorial! That picture is soooo nice! O: you're very very welcome x 10000! Okay, I came back to answer this. If you're drawing from the side, you'll use the same method as far as shapes and everything, just turned to their sides. The difference is in placing. For example, if you're drawing the chest from a profile, instead of the circle (for the shoulder) being on the corner, it will be centered on the (I suppose now a rectangle) shape for the chest. The ball used for the start of the leg is also be in the center. THAT! Is a VERY good question! Pester me about it and stuff so I will post something like that. PESTER ME OR I WILL FORGET. I just noticed something. In of your pictures they show someone wearing a white shirt in this tutorial with some letters on one side. It looks like the words are E.D.W. just wondering if they are because it looks like the uniform the girls at the school i go to wear. Actually, the letters you see are ER which are the last letters to RIVER which was the second word in the name of my middle school. It was my PE shirt, (the model is me v_v) and since I was quite the chunkster as a middle schooler (i like to think I grew out of it... lol), I can still fit into my PE shirt and it's really comfortable, so i wear it a lot as a pajama or house shirt. Oh sorry for my mistake then, sorry. I'm sorry if I sounded mean.